Light and bright is our motto for the warm season. 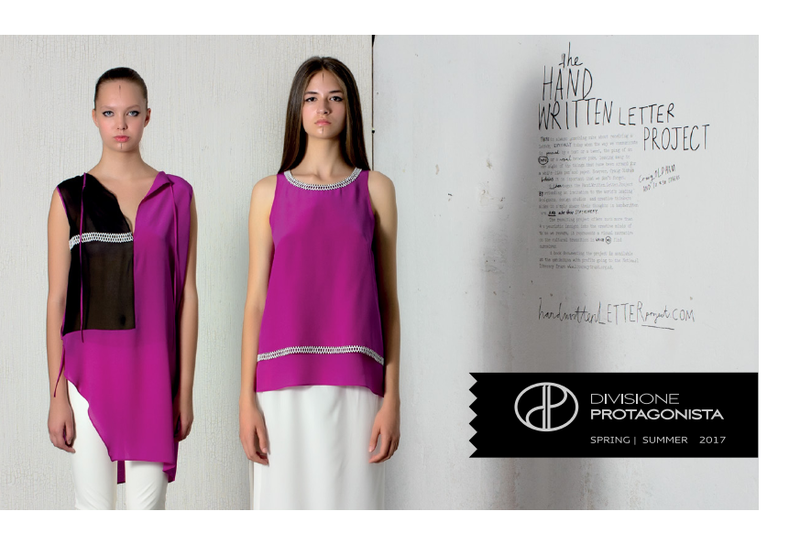 The spring/ summer collection of Divisione Protagonista is here to make you stand out of the crowd with colors and asymmetric lines. The inspiration of the brand is simplicity and the surprising accents. Just the way the flowers are waking up for the new season, the collection of the designer Lina Tanevа makes sure you will be blooming. The color magenta is the first one you will see in the collection and there is no coincidence in it. It symbolizes universal love and encourages a sense of self-respect. That is the feeling we would like to bring in our clients. Along with the bright colors, the classical black and white combinations are essential part of the brand identity. Divisione Protagonista is always aiming elegance through minimalistic and interesting details designed to suit the modern woman.